Thanks to the generosity of it’s long-time supporters, the U.S. Chess Trust continues to fund many wonderful programs including the Scholar-Chessplayer Awards. Donations to the U.S. Chess Trust are tax-deductible. If you are a high school junior or senior looking for scholarship money, read on! Download the 2019 Scholar-Chessplayer Application (PDF file). Applications are available online through the Scholastic page at uschess.org. Applications are scored equally in four areas: Academics, Chess Playing, Community Contributions, and the Personal Essay. Contact Susan Kantor, Scholastics Associate, at the US Chess Office, (931) 787-1234 x136 or email skantor@uschess.org with any questions. A letter of recommendation from a teacher in a current or former school you have attended in 9th, 10th, 11th, or 12th grade. 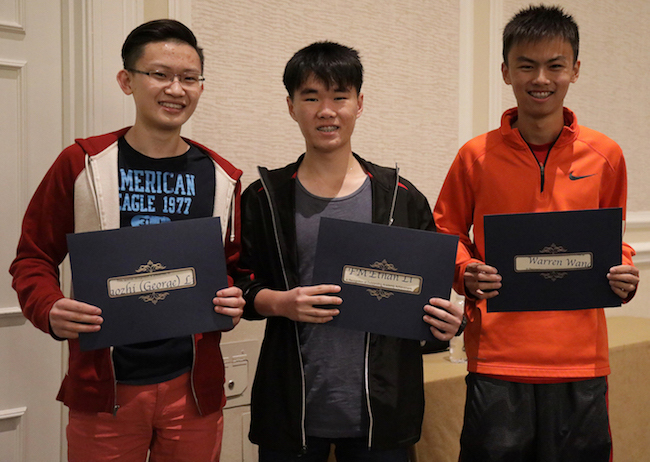 Recipients who attend the 2019 National High School Chess Championship in Schaumburg, IL on March 15th – 17th, 2019, will be recognized for their achievements. Players do not need to attend the 2019 National High School Chess Championship tournament to be eligible for the 2019 Scholar-ChessPlayer Award.